Fans are weird. That’s the conclusion I’ve come to following a few escapades in ole London this weekend. Let’s start with one of the geekiest fandoms of them all: anime. Now here’s the disclaimer: I am not, and probably never will be, an anime fan. I’ve probably seen about 2 or 3 episodes of anime in my entire life, and that’s including the Pokémon animated series. I’ve come across a few films like the weird pre-Inception dream based film Paprika, and the big hits like Ghost in the Shell, Spirited Away and My Neighbor Totoro are certainly on my to-watch list. But again, I am not an anime fan. Why do I bring this up? Well, someone decided to drag me along to the London Anime & Gaming Con today. My verdict? Well, let’s just say, the people I came across weren’t doing much to deflect the awkward anime nerd stereotype. That’s fine. I’ve got nothing against those types of people. If you want to dress up in a tightly fitting dress wielding a polystyrene sword (with far too much attention to detail) from your favourite piece of fantasy nonsense, I’m not going to stop you. I might feel slightly weirded out, but I don’t think that can be helped. There’s something faintly terrifying about a group of cosplayers completely into their characters, running around with no shame. It reminds me of the role playing society back at my university that would run around campus in full medieval costume and act out ridiculously complicated storylines oblivious to everyone else. Well, all the power to them, I say. Just accept that most people are going to be confused and probably a little bit intimidated. Now on to a very specific type of fandom… The Room. One of the most universally loved bad movies has spawned a whole group of dedicated fans, myself included. In between all the screenings and spoon-throwing Tommy Wiseau’s happy accident has become a cult phenomenon that continually spreads through word of mouth and sheer audience fascination. 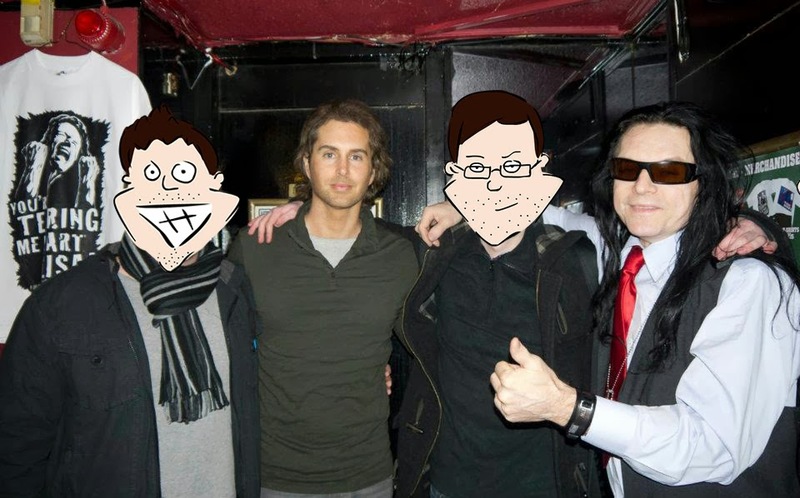 Co-star Greg Sestero’s hilarious book The Disaster Artist and its just-announced movie adaptation from James Franco would not exist if it weren't for the fans. It’s the perfect example of how much can arise from such an obscure obsession. Anyway, the point is, if you want to belong in a fan community, go for it. You’ll have a lot of fun, and you won’t feel embarrassed doing something mental if you’re hanging out with a whole bunch of other people doing something mental. But it’s also okay if you’d rather just hang back and read a book or something. I don’t know. Fans are weird.